Lost among heavy industrial equipment, mega power projects, and colossal skyscrapers that stand endless meters high is the human element of infrastructure These larger than life installations, bridges, buildings, roads and ports are only given life by very humans who live about them. Humans who design them. Humans who finance them. Humans who build them. And most important of all, humans who use them. Infrastructure is a powerful tool that society has used to move forward. Its telecommunications towers allow us to communicate and interact, its roads, trains, ships and planes allow us to move from towns, to cities, to countries and across the world. Its homes shelter us from cold and provide us with shade from heat. Its sanitation technology allows us to access water, the very source of human life, while its inventiveness has allowed us to extract resources from petrol to minerals to food that have delicately shaped the world in which we live. Infrastructure is not industrial equipment, or power projects, or skyscrapers. All successful and purposeful infrastructure projects share human characteristics because they are built with humans in mind. The BUILD Africa program is built around these very traits that humanize infrastructure: Empowering, Resilient, Smart, & Catalytic. The need for infrastructure investment in the coming years is well documented. From aging infrastructure in the West, to reconstruction projects in war-torn or disaster-stricken areas, to an urgent need to build throughout the emerging world, the fate of the 21st century will be decided by infrastructure, big and small; local, regional and international; on the ground, in the water, or in the sky. One commonality across all these projects will remain... they must all Empower the people that use them. They must be Smart: providing appropriate returns to investors and the environment. They must be Resilient: built with future generations in mind. Only then, will infrastructure Catalyze development. The Republic of the Congo is honoured to host the first international forum on infrastructure in Africa. I wish all participants in this grand gathering for development a warm welcome and a pleasant and productive stay in Brazzaville! As projects take form, it is our heartfelt hope that the BUILD Africa Forum will become a launch pad for ideas and initiatives to help shape our continent's development. In the last decade the Republic of the Congo has made the development of infrastructure throughout the nation a top priority. The development of basic infrastructure is a prerequisite to any modernisation or development strategy. As such important public investment is dedicated annually, to build roads, ports, airports, energy, and hydroelectricity projects. We look forward to showing you what the Congo has accomplished with regards to the establishment of infrastructure throughout the country. The Congo, like all other African countries, belongs to the greater African community and it is imperative that our development efforts and the efforts of our neighbours be harmoniously linked, as part of the greater regional and continental integration process. In light of furthering integration the Congo is working to realize select infrastructure projects deemed essential by the NEPAD, PIDA, and the CEMAC. The Build Africa Forum serves as a reminder that those of us with a stake in African development must work towards two goals. Firstly, it is imperative that we move towards regional and continental unity. In order to ensure successful growth we must combine our collective strengths. Secondly, it is time for Africa to take charge of and forge its own destiny. Let us set the stage for African modernisation and undertake to transform the social development of our people. It is my sincere hope the BUILD Africa Forum will leave a lasting mark on the development of the African continent. Since the dawn of African independence, it has become clear that the main obstacle to development across the continent was its lack of adequate infrastructure. In recent years African leaders have been working to develop innovative policies, initiatives, and strategies to meet this challenge head-on. BUILD Africa is one such initiative. For the first time, an international forum dedicated to infrastructure will be held in sub-Saharan Africa, in the Congo, in Brazzaville. It is fitting that the BUILD Africa Forum is to be held in Africa, in particular the Congo, which today is teeming with growth and opportunity. With modernization in mind, the President of the Republic created the Ministry for Spatial Planning and the General Delegation for Major Public-Works (DGGT) in the beginning of the 21st century. This act of political will has laid the foundations for the Congo to become a leader in infrastructure development on the continent. 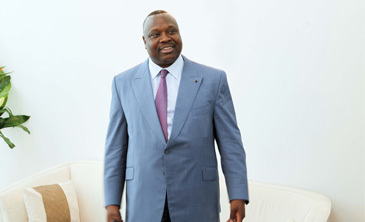 The dynamic approach to development manifested throughout the Congo, evidenced by the nation’s abundant growth, is the direct result of the steady guidance of the President of the Republic. The challenges raised by reconstruction are not new to the African continent. We will, however, overcome these obstacles and move forward by encouraging smart innovation. We will seek out the opinions of a diverse set of experts and develop both durable and constructive global partnerships. As a bridge and catalyst for collaboration, BUILD Africa is a means to combine expertise, innovation and a springboard to launch new efforts to allow the continent to competitively meet its many challenges. BUILD Africa intends to address these issues head on by assembling experts and policy-makers from around the globe to reimagine the infrastructure of tomorrow. I look forward to meeting you in February 2014, where together we will move along this ambitious path to the future. We will address a pressing issue, which lies at the heart of the public policy debate: How can we encourage and support social and economic development through the construction of new infrastructure? 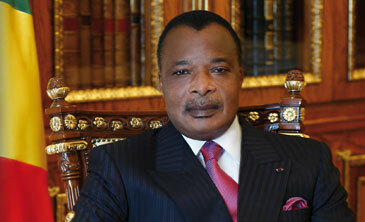 I look forward to meeting you in Brazzaville, where together we will build a new vision for African development.